Beautiful Lis Simon Wedding gown with original tags attached - part of the 2018 Fall Collection! 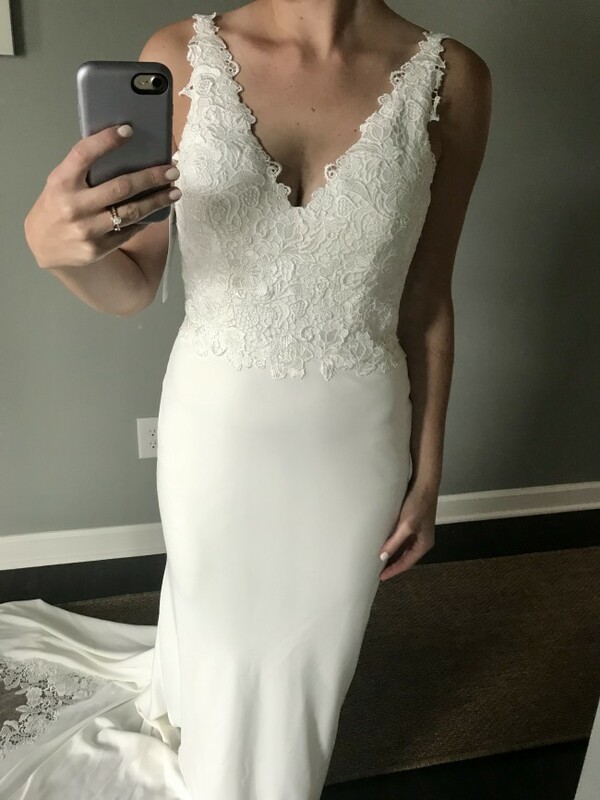 I purchased back in January 2018 when the dress was part of a trunk show at a bridal shop, but ultimately ended up changing my mind and not wearing it. The dress has never been worn and is in perfect condition. 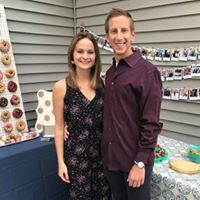 I paid $1,769 at time of purchase (receipt attached) and put $460 into alterations. Alterations included a hem (I'm 5' 4.5", and wore 3.5 inch heels for fittings, so this will work for anyone 5' 8" or shorter), taking the dress in to my measurements, tightening the straps a bit, letting out the hip area slightly, and a bustle. I also had cups added. At the time of purchase, I also paid $50 to have the front "V" raised 2" as it was very low cut. Pictures show the dress with this modification, and after all alterations. Really hoping that someone is on the hunt for this beautiful gown and can make it their own :) It truly is a beautiful gown, I am just indecisive and ended up falling in love with a different gown from BHLDN. My approximate measurements: Hip: 33.5" Waist: 27.5" Bust: 34"
This dress has been hemmed to my sizing. I am 5' 4.5" and wore 3.5" inch heels for fittings. See detailed alterations in dress description.